Having a garage is great. Having one with a door that opens via remote is even better. Bad weather? Just push a button and slide right into your garage. You’re warm, dry and on your way into the house without missing a beat. 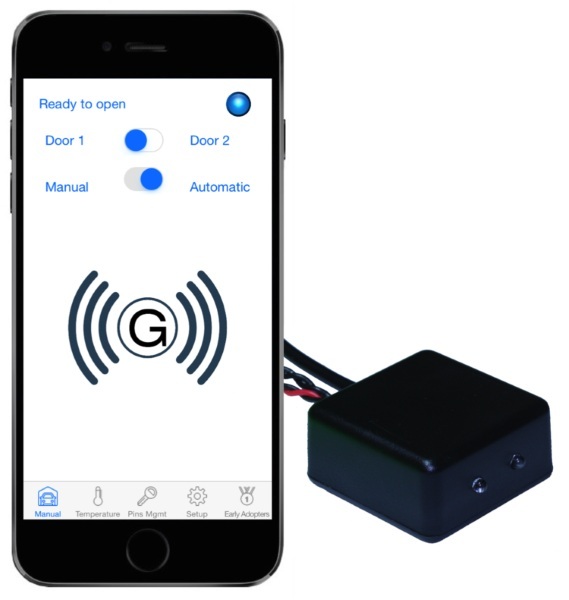 If you’ve lost your remote or just need a second one, the Garage Beacon turns your smartphone into a remote for your garage door. This particular product combines some hardware with an app that is available for both Android and Apple products. Basically, you have to turn your existing garage door into a smart door but the set comes with everything you need to transition your garage into this century. Installation seems fairly simple and comes with detailed instructions. This is a great system for people who share garages with their family. This way children who use the garage to store their bikes or non-drivers who may use the garage for other functions can use the opener through their own cell phones as it can be set to accept multiple users. The Garage Beacon is $69.95. I bought one for my family and I cannot tell you how much we all use it! With only one car with built in remote and a failing outdoor keypad, all I have to do is pull into my driveway and my door magically opens right in front of my eyes! I have plenty of people that comment on this device it’s crazy!